There are many signs that may be an indicator of substance abuse, and these signs are often obvious to both the individual affected and to friends and family. Most people who abuse substances become aware of the increasing importance of the substance in their life, but it is difficult to ask for help. How can you, as a loved one, reach out and support your friend or family member? Substance dependence refers to continued use and obsession with obtaining a substance, despite the knowledge that continued use is causing problems in multiple aspects of life. The problems faced by individuals abusing substances span relationship difficulties, legal problems, financial chaos, and work-related consequences. Many people believe the problem that prevents substance dependent individuals from seeking help is denial, but the addict typically knows when a substance has become inordinately important. They may just hope to conceal their illness from others because of the stigma associated with substance use disorders. And although many addicts believe their impairment is well-disguised if they manage to get work, they often find that friends, coworkers, and family are concerned long before the time they acknowledge a problem. Note that substance abuse is considered a disease—the American Medical Association weighed in over half a century ago and declared addiction to be a disease, not a moral dilemma or an unfortunate weakness of character. Research since that time has supported a multifactorial causal model of substance abuse and dependence as the result of genetics, influences in early childhood, ethnicity, and other factors. Although the research has not found one single cause for substance abuse or dependence, extensive research shows that some individuals are at much higher risk than others, much like some individuals are at higher risk of diabetes mellitus or colon cancer. If you’re concerned about possible substance abuse by yourself or by a friend or family member, there are a few concrete steps you can take to move the ball forward. There are various modalities of treatment for opioid dependence and misuse. The first line of treatment is office-based pharmacological or medication-based therapy with buprenorphine, a sublingual medication that blocks the opioid receptors in the brain to prevent withdrawal symptoms without causing the same amount of sedation or euphoria experienced with pure opioid agonists. Buprenorphine maintenance therapy is administered through a primary care clinic. One recent study in Baltimore found that after 12 months, 57 percent of patients treated in a primary care practice were still in treatment. Within this group, patients had 67 percent opioid-negative months. Patients who are maintained on buprenorphine or methadone are not simply switching to another drug of abuse: they are all on effective treatments prescribed by a qualified physician. A DEA waiver is necessary to prescribe buprenorphine or Suboxone (buprenorphine plus naloxone, to discourage injection and abuse). Individuals who comply with treatment are able to mend relationships, hold jobs, and they are at lower risk of street crime, violence, and HIV. They achieve the stability that enables fuller participation in behavioral interventions and other forms of counseling. Methadone is a synthetic opioid that alters the effects of pain on the nervous system with a reduction of the euphoria and sedation associated with heroin and opioid drugs. It is effective for treatment of withdrawal from opioids and is used in the medication-assisted treatment of serious opioid addiction. It can be given by injection, in liquid form, or as a tablet or wafer. It must be dispensed through a program certified by SAMSHA (Substance Abuse and Mental Health Service Administration.) Methadone treatment is most effective when used for a minimum of 12 months, although many patients require long-term treatment. Naltrexone is an additional pharmacological therapy used less frequently for opioid dependence. It completely blocks opioid receptors and as a result, compliance can be a problem in less motivated patients. The long-acting injection, Vivitrol, is a form of naltrexone that eases compliance, requiring monthly injections. Other treatments that have shown some efficacy alone or in combination with another form of treatment include cognitive behavioral therapy and motivational enhancement therapy. Family behavior therapy provides strategies to apply new behaviors to improve the home environment. Contingency management is sometimes used when individuals with drug dependence are mandated to treatment by an employer or the court system. In a system of contingency management, failure to comply with treatment results in job loss, imprisonment, and loss of reputation. Contingency management can be coupled with positive or motivational incentives. Twelve-step facilitation is a strategy built on the premise that involvement in a mutual support group like Narcotics Anonymous and Alcoholics Anonymous can help individuals maintain abstinence. Although there is some evidence that this approach is effective in the treatment of alcohol abuse and dependence, the evidence of efficacy in opioid-dependent individuals is still unclear. The addict or alcoholic may benefit from new friendships and sober activities that may result from mutual support groups like NA or AA. Meetings are free and widely available across the globe. These programs are based upon acceptance of the chronicity of the disease of substance use disorder, surrender to a higher power, and fellowship among abstinent peers. A study published in the Archives of General Psychiatry showed that when patients were matched with programs in which they received at least three professional sessions directed at them and important family, psychiatric and employment problems improved by up to 30 percent compared to when placed in “standard” treatment programs. Residential treatment is recommended by many counselors—particularly if the family seeking help visits a residential treatment center for advice. But, there is little evidence to support residential treatment for opioid dependence. Outcome studies are hard to come by, but a study published in 2014 found 29 percent of patients in the 18 to 24-year age group was abstinent at one year. The same study also noted that a drawback associated with residential treatment programs for opioid dependence in adolescents and young adults was the greater likelihood of overdose after treatment when the patient’s tolerance had diminished significantly. One study of patients in eleven treatment centers in Norway found an elevated excess mortality of 15.8 in the four-week period after leaving a medication-free residential treatment center. The study authors concluded that the risk of dying from an opioid overdose during this 4-week period was “so dramatic that preventive measures should be taken.” This trend continues, making the risk of an overdose after discharge a very real issue to consider. During treatment, ancillary studies will determine if the affected individual has developed nutritional deficiencies or other illnesses related to the substance abuse. A complete medical history will guide therapy, as many addicts neglect their health and self-care is a critical component of successful addiction treatment. So, improvements in general health are desirable outcomes. It’s also important to consider additional measures of treatment outcome when deciding whether or not a treatment works. Although abstinence is considered important, in reality, it is difficult to achieve. Reduction of harm, stabilization of relationships, and returning individuals to productive and satisfying employment are all positive outcomes associated with medication-assisted treatment. The easiest part of a substance abuse assessment may be the identification of a suspected problem. A consultation with a medical professional is an acknowledgment of some discomfort. 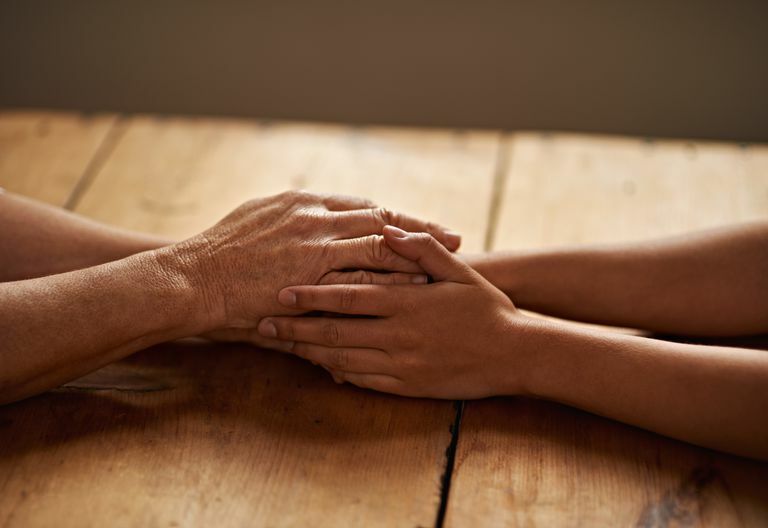 Acceptance can be difficult for the patient as well as the family, but the knowledge that help is available can be very reassuring to anyone who is struggling with a compulsion to use a substance that is causing problems in different areas of their lives. Millions of individuals with substance abuse disorders have been successfully treated and now live full and happy lives, but there are no guarantees in medicine. Success will depend on many variables, but the variable you can control as a family member is recognition of the problem and willingness to seek a solution. Addiction is not a moral failing—it is a progressive and potentially fatal disease. McLellan AT, Woody GE, Luborsky L, O'Brien CP, Druley KA. “Increased Effectiveness of Substance Abuse Treatment: A Prospective Study of Patient–Treatment Matching.” Journal of Nervous and Mental Disease. 1983;171(10):597–605. Ravndal E, Amundsen EJ. Mortality among drug users after discharge from inpatient treatment: an 8- year prospective study. Drug Alcohol Depend. 2010;108:65–69. Volkow, N. D. (2012, December). Preface | National Institute on Drug Abuse (NIDA). Webster LR, Webster R. Predicting aberrant behaviors in Opioid‐treated patients: preliminary validation of the Opioid risk too. Pain Med. 2005; 6 (6) :4.